Public lands within Coconino National Forest. Most federal land management agencies have multiple-use missions that encompass a great number of priorities. Among these priorities are the protection of certain key watershed functions such as maintaining healthy riparian zones and upland forest habitats; sustaining flows of high quality water at a quantity that supports community, economic and environmental needs; and protecting the seeps, springs, and aquifers that feed those watersheds. This section of the Verde Land & Water Planning Toolbox, therefore, contains less in terms of explicit tools intended for adoption and implementation by federal land managers, and instead focuses on methods for successful civic engagement by local communities and residents in federal agency processes. Through greater involvement in these processes, community leaders and interested citizens can support continued agency actions to maintain and improve watershed health. Morever, community and citizen engagement can ensure well-coordinated approaches to addressing watershed health challenges between federal land managers and local jurisdictions. 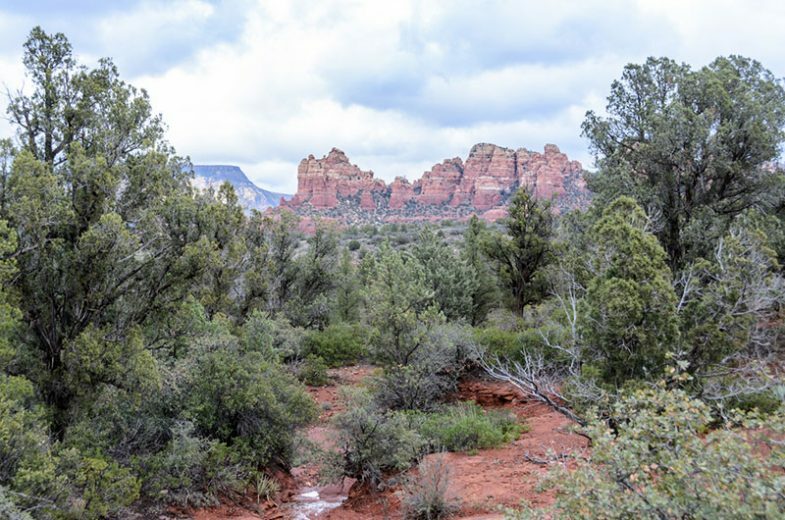 Given that the majority of federal public lands within the Verde River watershed are managed by the U.S. Forest Service (USFS), specifically the Prescott and Coconino National Forests, this Toolbox is oriented primarily to USFS planning efforts and collaborative initiatives. Management within National Forest units is driven largely by Land and Resource Management Plans, which are detailed plans that identify needs, goals and objectives for forest management and provide guidance for management actions to reach those goals. Public involvement in the development of Land and Resource Management Plans is solicited and regarded as essential by the agency. Another significant federal land management decision with serious potential consequences for land use planning and watershed health is the acquisition and disposal of federal public lands. Authority to acquire or dispose of federal lands varies among the agencies. Lands that are prioritized for acquisition by federal land managers are typically those lands that could benefit from federal management, and most often include private in-holdings surrounded by existing federal land units. When considering lands for disposal, federal agencies identify lands that either no longer meet a compelling federal purpose or whose value might be best utilized under other ownership. Other federal land management agencies’ activities that relate to land use planning and watershed protection include a host of collaborative initiatives. These efforts may be driven by the federal agency to advance land management priorities, or may be initiated by state leaders or local communities to address specific issues and opportunities. For example, the restoration of forest health has emerged as a significant challenge in the long-term protection of watershed resources. The catastrophic wildfires of the past few decades – resulting from prolonged drought, expansion of the range of pests, and the accumulation of brushy, small-diameter thickets of trees and other fuels in forests – have had significant impacts on sedimentation and water quality degradation in Arizona and throughout the West. Areas within the Verde River watershed are encompassed by the Four Forest Restoration Initiative (4FRI), which is a landscape-scale, cross jurisdictional, public-private partnership working to restore forest health in the watersheds of the Kaibab, Coconino, Apache-Sitgreaves and Tonto National Forests. A range of other collaborative initiatives in the Verde River watershed also present opportunities for promoting and protecting long-term watershed health and function, and provide avenues for local community engagement. The Toolbox focus for this category centers on three main topics: land and resource management planning within federal agencies; land acquisition and disposal priorities at the federal level; and place-based collaborative initiatives.